Save up to 30% on Select Succulents Unique Collections — MumbleBee Inc MumbleBee Inc.
Deal of the Day: Save up to 30% on Select Succulents Unique Collections for 2/11/2019 only! 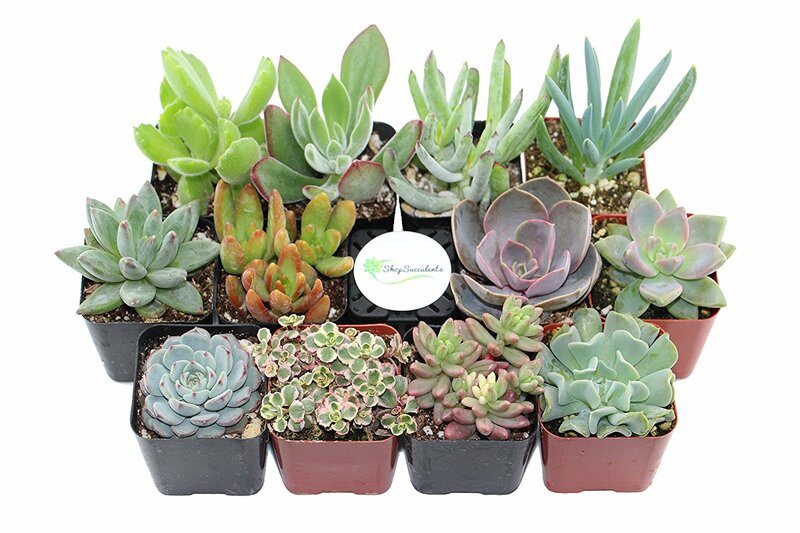 Choose from select quantities of the best selling succulents brand on Amazon! Even find something for your Valentine’s Day center piece. The Unique Collection is a different variety. Plants may vary from pictures shown as succulents are selected based on season, size, health, and readiness. Succulents come in 2 inch square pots fully rooted in soil. Plant measurement will vary as different species grow in different ways: for example, some grow wider, shorter, taller, trailing etc,. All Shop Succulents plants come with helpful care instructions in every pack. A Shop Succulents plant reference guide (QR Code) is included in every Shop Succulents order. Succulents are drought tolerant plants, needing little water to thrive.